If your business entered into a contract containing a fraudulent misrepresentation, it could put your company’s future at risk. 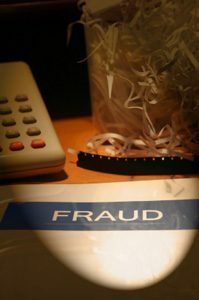 It is important to understand where the fraud exists in your contract, as well as what possible liability exposure you may face. You need a knowledgeable business attorney with experience in California contract law to review your case. If you believe you are party to a contract that contains an element of fraud, you may be justified in seeking to nullify that document. The first step is to understand what constitutes a fraudulent misrepresentation. A false representation was knowingly made, or was made irresponsibly without knowledge as to whether it was true or false. The false statement persuaded a second party into entering into a contract. The party being defrauded suffers a loss as a result of entering into the contract. Contract law is detail oriented and can be extremely complex. Los Angeles business lawyers can review the contract in question and advise you on how to proceed. Business attorney Robert G. Klein has actively defended corporate and individual clients in the courtroom and at the negotiation table for over a quarter-century. He works to protect intellectual property, trade secrets and copyrighted materialagainst theft and/or improper use as well as representing the business interests of his clients in many other incarnations. Having an experienced business litigation attorney represent you in any contractual matter is the best way to achieve satisfactory results. Los Angeles business litigation lawyer Robert G. Klein can handle your fraudulent misrepresentation case, and will defend your interests in a courtroom if negotiations are not fruitful. His record of positive verdicts and settlements speaks for itself. Contact our Los Angeles litigation attorney to learn more about how our law firm can help you protect the rights of your business as well as your own.